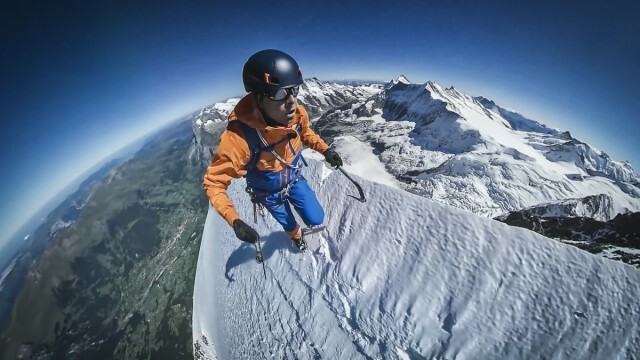 Swiss alpine gear provider Mammut partnered with CONCEPT360 and German ad agency Heye to promote its latest line of alpine gear – the Eiger Extreme Collection. 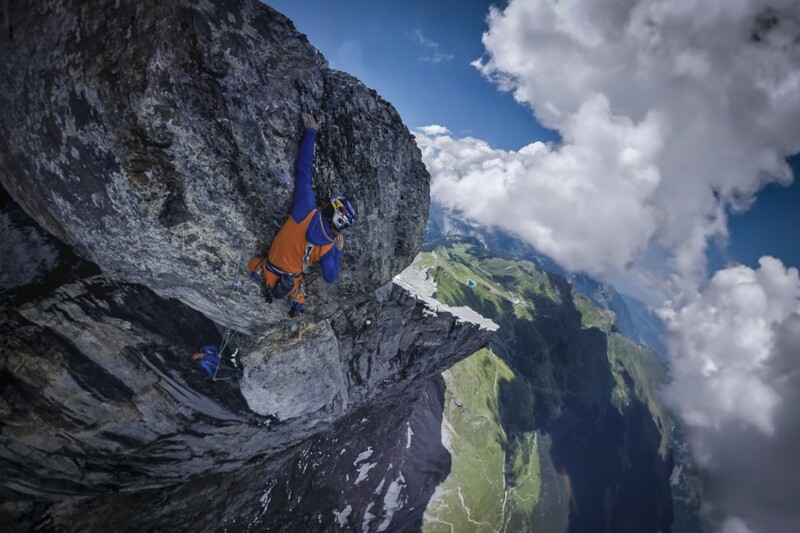 The 360/VR project “Mammut – Eiger Extreme 360° Experience” showcases extreme alpinists on location. Swiss technology and innovation drives this collection of alpine clothing, developed by athletes, for athletes. During the pre-selling of the new collection, retailers could watch the 360° experience during a series of events. After the official launch of the collection in August, it was used worldwide in Mammut stores and major key account dealers. 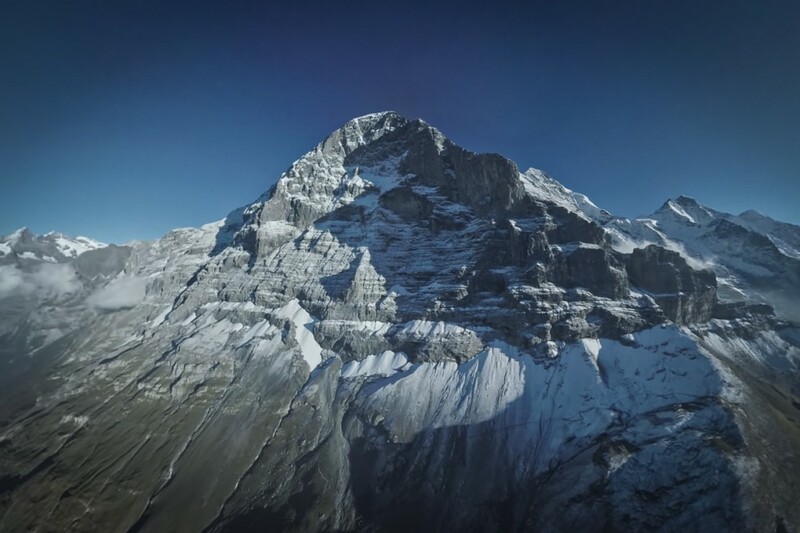 The Eiger North Face is an extreme challenge for every alpinist, and 360° footage of the mountain features prominently. 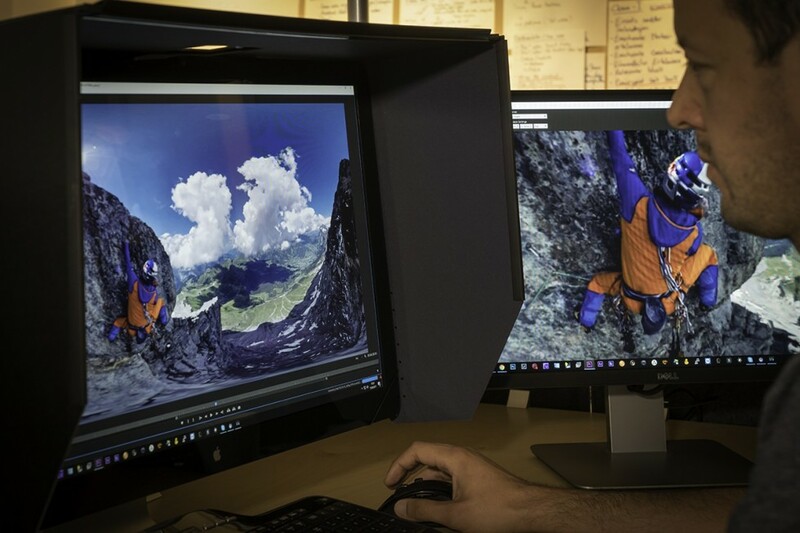 SkyBox 360/VR plugins for After Effects and Premiere Pro were used for post-production. 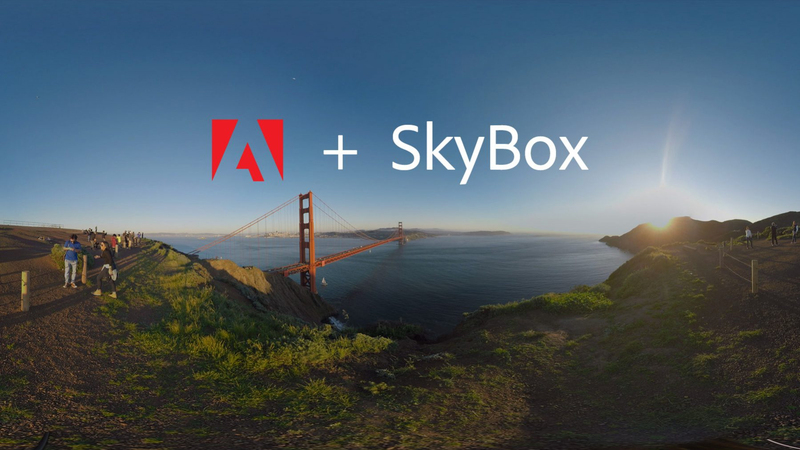 Adobe has acquired the SkyBox plugins, and is integrating them into Adobe Creative Cloud (find out more). 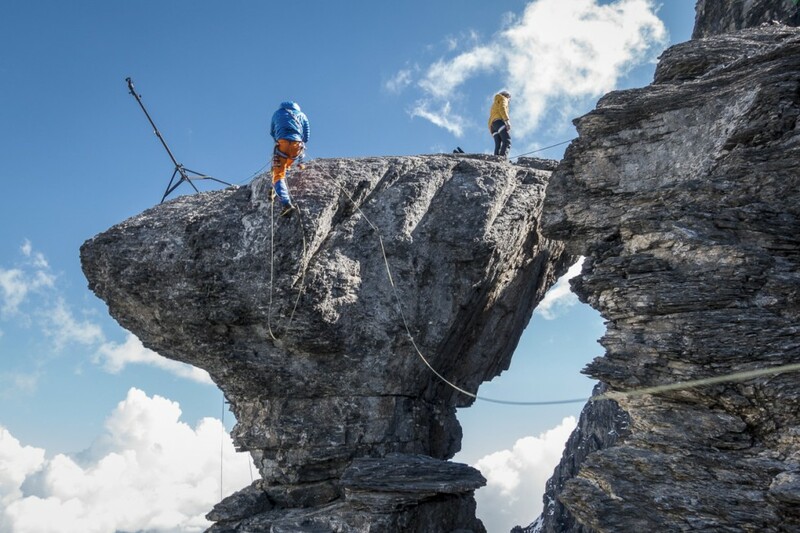 Mettle is proud to shine a spotlight on customer stories, and is pleased to showcase “Mammut – Eiger Extreme 360° Experience”. First things first – please tell us about Mammut and how they came to develop the Eiger Extreme collection. Mammut is internationally known for mountaineering and trekking equipment, as well as for their innovative ad campaigns. 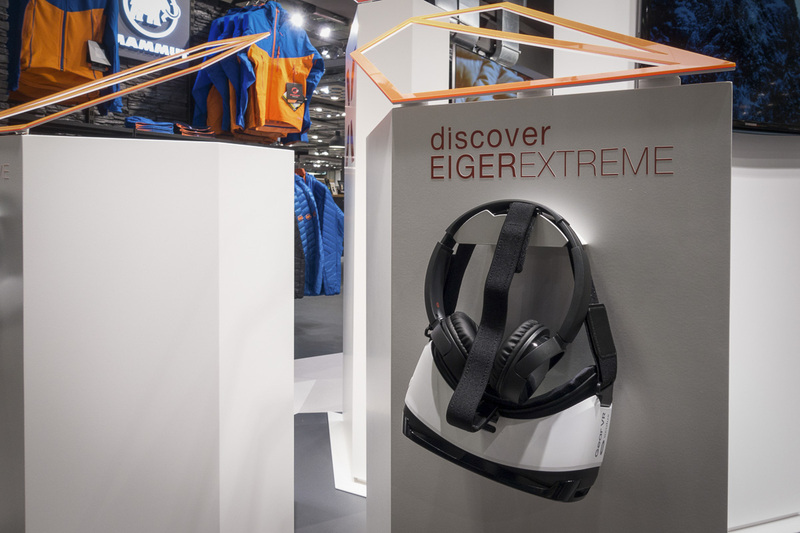 Their new Eiger Extreme Collection is the fourth generation of their climbing gear collection. It has been developed and reviewed in close collaboration with the top athletes of the Alpine Mammut Pro Team. We have been working for a few years now with Mammut. Back in 2014, we started #project360, where we documented the first 360° ascents of classic Alpine routes on the Eiger North Face and the Matterhorn’s Hoernli ridge as a kind of vertical Street View. Last year in May 2016 we completed the project’s highlight: The first complete 360° documentation of the entire south route up to the summit of Mount Everest. What was the goal of this 360 production? The basic idea was to use a 360° movie for the launch of the new product generation. The goal was to show the new collection used by athletes, in action right on the Eiger face. The German ad agency Heye developed the storyboard which was then refined to get the best cinematic 360° experience. The movie was launched internally one year ago with an internal presentation to Mammut employees from all over the world. During the pre-selling of the new collection, retailers could watch the 360° experience at a series of events. After the official launch of the collection a few weeks ago, it is now used worldwide in Mammut stores and major key account dealers. 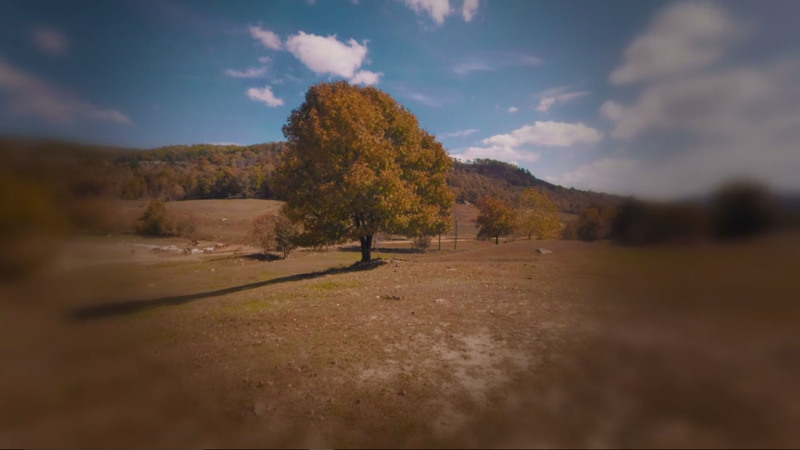 Your 360 footage on location is impressive! It looks like a combination of helicopter and first person POV. We had the opportunity to shoot with top mountaineering athletes. Dani Arnold is known for his speed ascents of alpine peaks, and David Lama is one of the world’s best climbers. 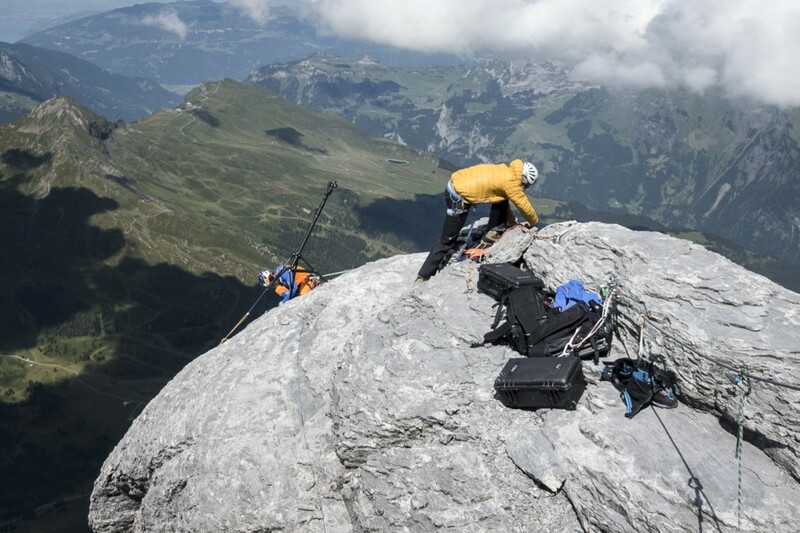 We shot on different locations on the Eiger mountain over several shooting days. Good 360° content is all about being in the middle of the action. To transform this into the movie, we shot with light camera setups that work best in outdoor conditions. 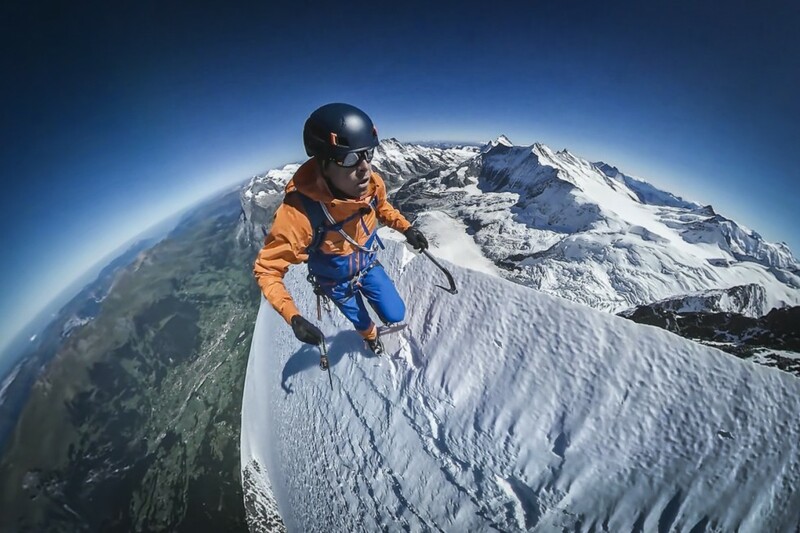 For example, the scene where you see Dani Arnold speed towards the Eiger summit this was shot using a Samsung Gear 360. With the proper settings and the right post-processing afterward, even those consumer-grade cameras can provide useful results. We completed the shooting more than one year ago. These days we would have chosen different rigs of course. As for the aerial shots, that was an entirely different story! In that altitude close to 4000 Meters it would have been impossible to fly a drone due to the high winds and long distances to cover. The aerials were shot using a kind of “torpedo” that I have had constructed for another of my projects. Imagine it like a rocket-like piece of metal with cameras on the front and the back. It hangs 30 meters below a helicopter which then can be quickly patched out during post-production. You shot the athletes in a studio as well. What was your camera set-up for that? For the studio shots, we used a Sony Alpha based system. The challenge here was that not all athletes were available at the same time. That means we had to shoot them individually. For the shooting, we set up a special studio set using a black backdrop with additional lights. It was demanding to put everything together afterward due to the different timing of the individual athlete clips. Tell us about Post. How did you bring everything together? One year ago the previews were rendered in Kolor Autopano Video to get a rough cut of the footage. And then processed using the Adobe Creative Suite. What struck me most in this project was the progress that 360° post-production has made over the past year. Thanks to that we completed reworked the whole movie in August 2017 using the newest post-production tools. The clips were all re-rendered using Mistika VR. 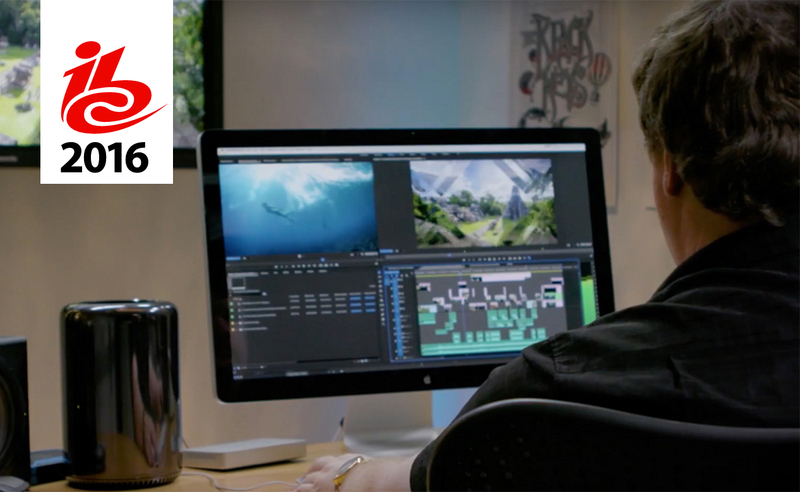 The Mettle tools played a significant role during post-production and retouching of the footage. All non-stationary footage was stabilized using different stabilization solutions out there. After that, we graded the final cut in DaVinci Resolve and exported it for the different platforms. As for social media, there are three different short clips. 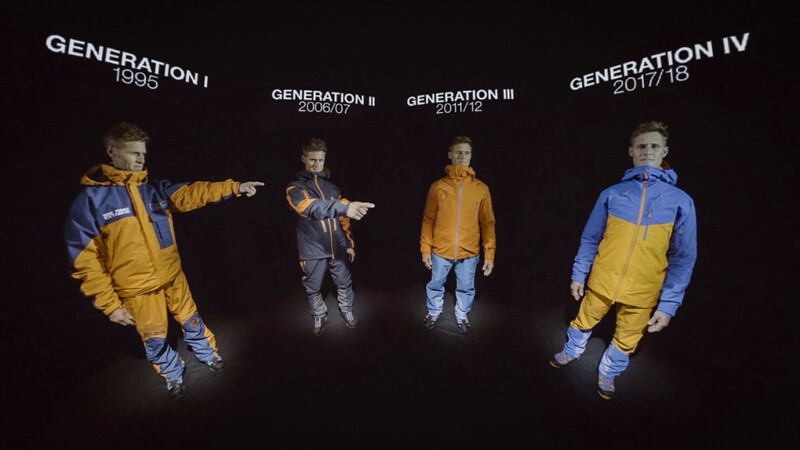 The 360 experience is available in-store at Mammut. What was your hardware set-up? Currently, we are working with a high-end workstation and a dual graphics card setup (one TITAN X + one GTX 1080). That proved to be the best solution to get the necessary computation power to work seamlessly with Adobe After Effects and Adobe Premiere. To get fast work speed, we use PCIe SSD disks exclusively. One challenge was the file size: To ensure the highest quality, we render our projects all in ProRes. While you can use proxies for some steps, we made the best experience just using the ProRes files for all post-production steps. That quickly blows up your project to 800 gigabytes just for the single scenes in the final movie. All project data in this production is around 1.8 terabytes. 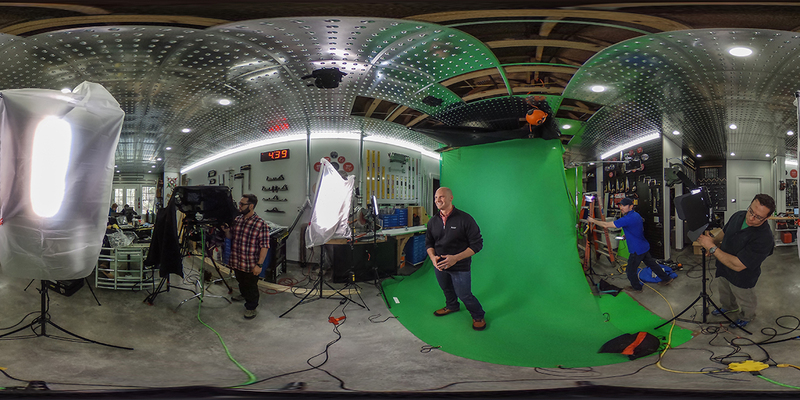 What do you think are the most important things to keep in mind during a 360 production? For me, 360° and VR are all about the experience. You have to ask yourself: What is the feeling that your viewer should sense while viewing the final movie? 360° brings people to remote places they can’t reach, and allows them to do things they can’t otherwise. Good productions are a cinematic firework but also contain a clear story. All your decisions regarding camera setups and rigging need to respect that. A light-weight camera setup gives you some more dynamic scenes and more flexibility. That means that sometimes less is more. Thanks Mathias! This was a great project! We’re looking forward to what you do next! In 2005, the CONCEPT360 agency was founded by Swiss 360° VR pioneer Matthias Taugwalder. CONCEPT360 produces 360° VR content and supports media companies with their use of new media formats.